In 2018 we continued our partnership with the University of the Southern Caribbean in order to enhance the quality of service that we provide for our families. 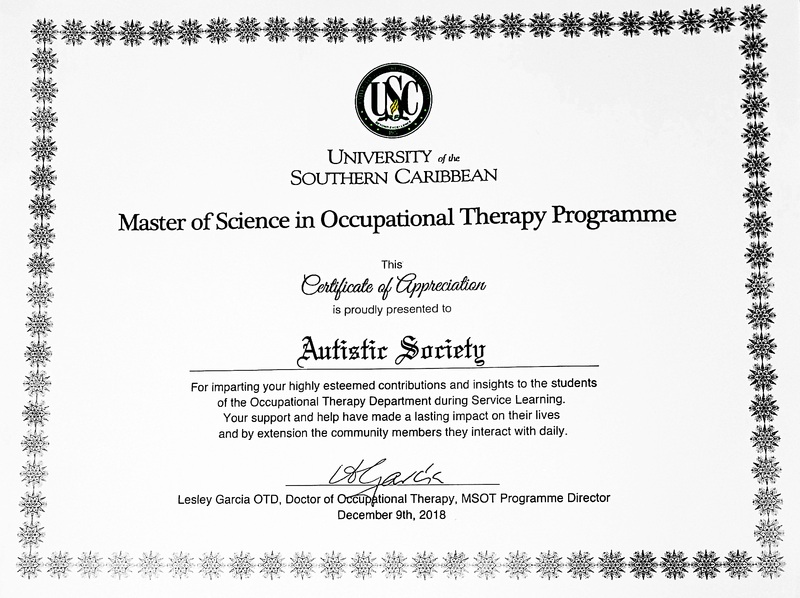 This partnership enabled us to offer Occupational Therapy to those with a high level of need, who would otherwise be unable to afford this essential therapy. It also afforded the university’s students an opportunity to learn and work with clients in a community setting. We are delighted to be recognized by the University of the Southern Caribbean for participating in their Service Learning.